What you need to know about Hypertech computer power chips. Q: What is a power chip? 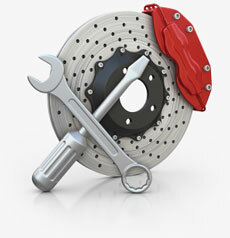 A: Since 1981 most cars have been controlled by computers and there has been no easy way to improve their performance. 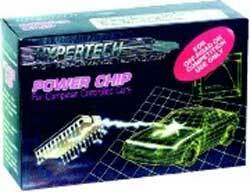 "Hypertech", the most advanced performance computer chip company, has developed the power chip. A small computer chip that re-tunes your engine for high performance driving. Q: How difficult is it to change a data chip? A: It's generally quick and easy. A typical installation goe s like this: With a screw driver remove the "Kick Panel" trim on the passenger side. Next, remove the screws from the computer's mounting bracket and lower the unit to the floor. Pull the computer out of the bracket so that the cover can be removed. Th e stock chip can now be pulled out and the Power Chip plugged in. That's absolutely it! Reverse the procedure to put everything back to stock. Com- plete instructions are included! Q: How can I tell if my 305 4 bbl. is an LG4 std or an HO? A: The easy way to tell the difference is to check the V.I.N. (vehicle identification number) located on the driver's side at the base of the windshield. The eighth letter will identify which engine it is. If the letter is a G the engine is an HO. The letter H will indicate an LG4 engine. The T.P.I. (tuned port injection) engines are easily identified by the injector tubes, mass air flow system, and the letter F in the V.I.N. Q: How does a powe r chip change the way my engine performs? A: The power chip installs in place of the stock computer chip in the car's computer, referred to as the ECM (electric control modular). It re-tunes the engine for maximum power and torque at wide open throttle. The tuning information programmed in the computer chip controls the engine's air/fuel ratio and spark advance. Q: What octane level of gasoline should I use with a power chip? A: All Hypertech power chips require premium unleaded fuel of 92 octane or higher. Q: What Degree Thermostat do youRecommend for use with the Thermo Master and Competition Chips? A: We recommend a 155 or 160 degree thermostat. This chart will help identify your vehicle identification number code to match the right power chip for your Firebird. TPI	= Tuned Port Injection Contains the letter F or #8 in the V.I.N. number 8th position.